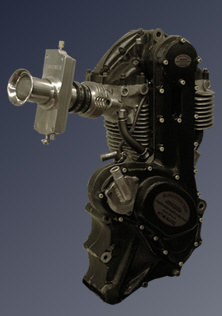 Minnovation fork yoke assembly, primarily designed for Norton/Seeley application. 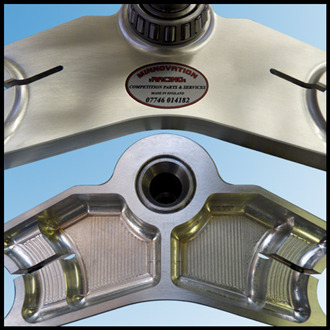 To see a short video of our Minnovation Racing Fork Yokes Click Here. 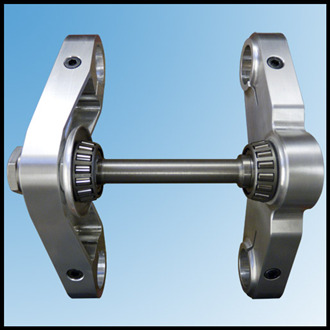 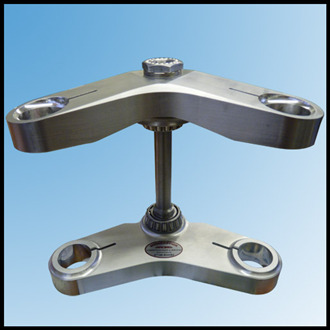 Available in 7 3/8" centers, parallel bores only, 34.5mm or 35mm dia bores - please specify. 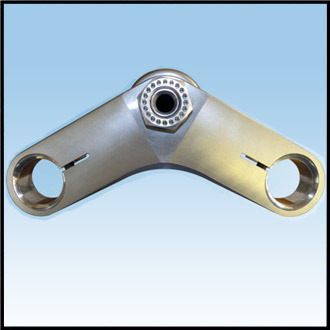 All yokes feature the standard Seeley/Norton offset of 2-1/4"
Supplied natural finish - C/W with bearings - alloy dust seal - alloy top & centre nut - washers & all fastners - ready to fit.